The Delta Pi chapter of Kappa Alpha Order at Missouri Southern received the Samuel Zenas Ammen Award for chapter excellence last weekend at their Providence Council in Memphis, Tenn.
Every year, the top 10 percent of KA Chapters are recognized for excellence in finances, recruitment and chapter growth, communications, project outreach, Operation Crimson Gift and overall chapter excellence. 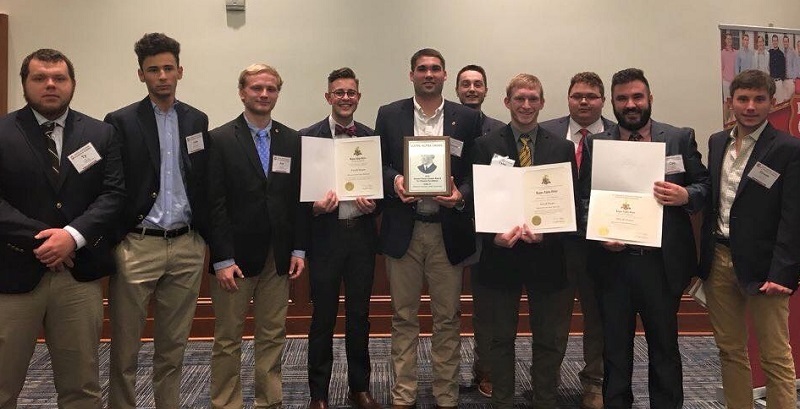 The award takes all areas of chapter operations into consideration and recognizes those chapters achieving a high level of excellence. This is the fourth time Delta Pi has won this award, the others being in 2001, 2011 and 2012. The Delta Pi Chapter also won awards in recruitment, educational training and philanthropy. Brother Trey Viel was also named the Providence Undergraduate Chairman for the state of Missouri.